The Rambling Infidel: Are Manchester United title contenders? After beating Sunderland 3-0 at Old Trafford Manchester United now sit top of the Premier League for the first time since August 2013 when they beat Swansea 4-1. A lot of pundits and Journalists are for the first time since the days of Sir Alex Ferguson (which seem a long time ago even though it's only been three years) people are talking of Manchester United being title contenders. This is especially more poignant as some of their competitors like Chelsea, Arsenal and Liverpool have had very poor starts to the season, although I am being quite charitable by stating Arsenal and Liverpool are "competitors". Only Manchester City have started brightly with some impressive wins, yet they suffered recent losses to West Ham and a 4-1 bashing by Tottenham Hotspur. This allowed United to rise above them to reach the top of the table by one point. If you think back to the start of the season the football commentary consensus pretty much ruled out United completely from the title race because although they made good signings in midfield like Mempis Depay, Bastian Schweinstiger and Morgan Schnerderlin, they get rid of a lot of attacking talent like Robin Van Persie, Javier Hernandez, Angel Di Maria and Radamel Falcao, whilst not bringing enough replacements (aside from Anthony Martial, an absolute nobody for an eye-watering £36 million and was predicted to be an utter flop). Then you had the David De Gea to Real Madrid transfer debacle, which had been rambling on for the past year, culminating in that embarrassing e-mail "mistake" on transfer deadline day that killed the potential move. However, ever since deadline day United have earned themselves some big wins such as a 3-1 win at Old Trafford against Liverpool and coming from behind to beat Southampton 3-2 away. Martial has exceeded expectations and shocked everyone by scoring 3 goals in 3 Premier League games, with all the goals being very composed finishes which have earned him rather primitve comparisons with Thierry Henry and Patrick Kluivert. But more importantly he gives a different edge to United's attack, because he is quick, strong, has good movement and looks to play on the shoulder of the last man, which is crucial as it gives space to likes of Rooney and Mata so that they can come to life on the ball in dangerous positions, rather than always travelling to their own half to get a touch of the ball. In other words; United can play in between teams and slice them open, instead of playing in front of them and creating barely anything. It is true United don't exactly have that 30+ goal a season superstar, like Barcelona have in Suarez and Messi or Real Madrid have in Cristiano Ronaldo. However, if things carry on as they are United won't need that superstar that scores 30 goals. They could simply have a few players like Martial, Rooney, Mata and Depay score 15 goals each, with the likes of Schweinstiger, Wilson, Herrera and Fellaini contributing the odd goal. That way you can have a complete team effort in terms of scoring goals, without having to rely on one single man to do it. In addition, if the defence continues their good form with Smalling and Blind as the centre backs and De Gea remaining Goalkeeper making point winning saves, then United have a good chance of winning the title. Notice how I say "good chance". I can't say this for certain as Manchester City and Chelsea will definetly bring themselves together and will still be in the mix come "squeaky bum time" to quote Sir Alex Ferguson. We still have a long season ahead of us and as happens in the Premier League there will be many shocks, twists, turns and drama. But if United can make it through a tough October with away games at Arsenal and West Ham but if United can still hang in there by Christmas then they have a chance. In summary, Firstly United must get the best out of their new raw attacking gem Martial and others like Memphis and Rooney. Secondly they must keep David De Gea in the sticks, have a consistent defensive line and clamp down on the constant injuries. 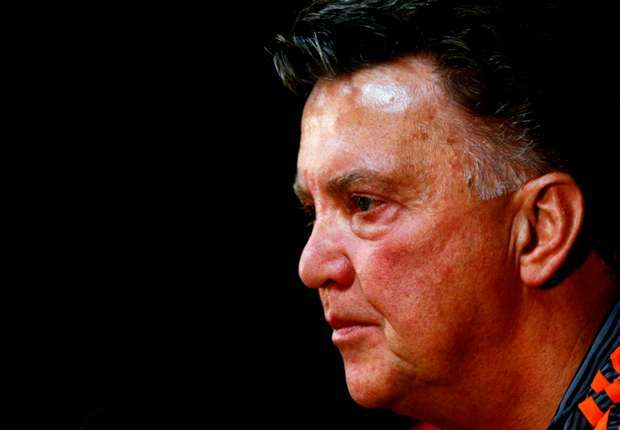 Thirdly Louis Van Gaal must keep on implementing his now fruitful "philosophy". If this happen then United have a great chance of being title winners come May.